I usually like to make hummus the more “traditional” way (just beans, garlic, lemon juice, olive oil, tahini, salt), but I was at a family BBQ last weekend, and someone had brought this super fancy hummus so I decided I needed to try and imitate it. It had sun dried tomatoes and basil in it. It was so delicious, though I forget what brand it was. I think this recipe gets pretty close. 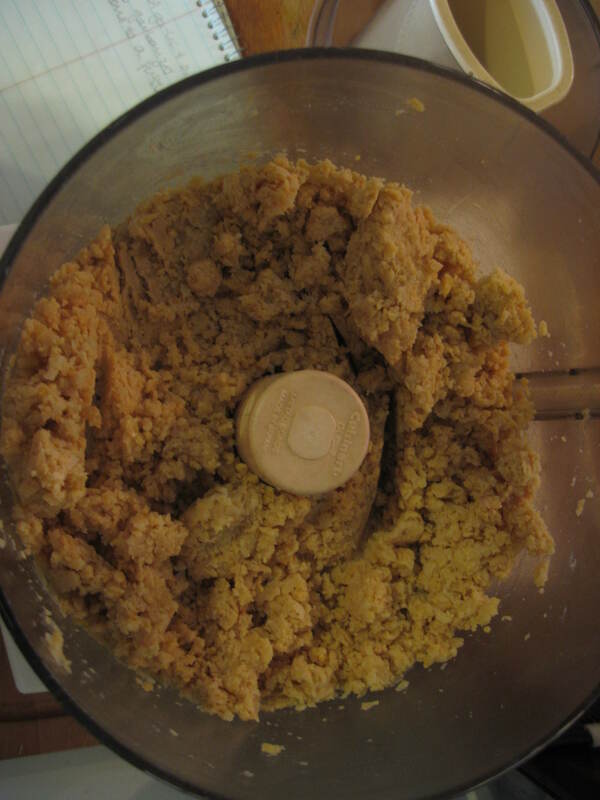 Add the garbanzo beans to the food processor and mix until it becomes a paste. Doing this before adding everything else will make a smoother hummus. Now add everything else and process. Start with ¼ cup water, and add more if necessary to achieve your desired texture and consistency. I like mine pretty smooth, so I added about ¾ cup water. Add more salt, pepper, and paprika to taste. 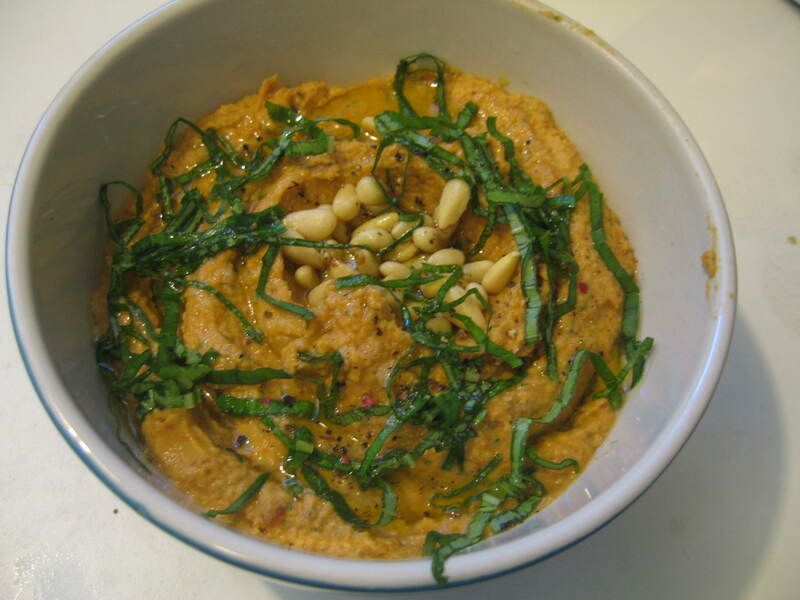 To make a pretty appetizer, put some hummus in a nice bowl, make a well in the center, and fill with about 1 Tbsp of pine nuts. Julienne 2-3 large fresh basil leaves, and sprinkle on top, then drizzle lemon juice and olive oil, with a little more sea salt and freshly ground pepper. Your guests will be extremely impressed when you tell them you did not buy it from Costco!